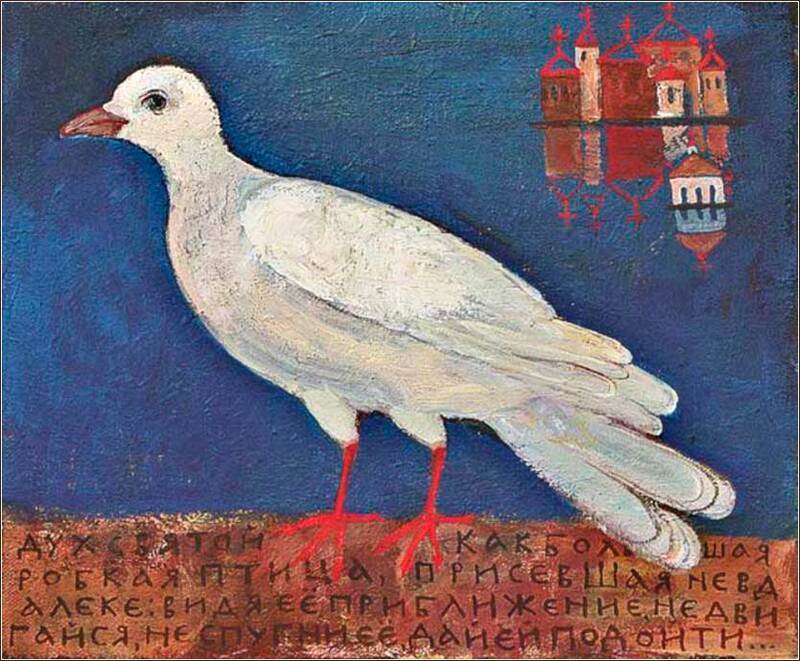 A Bird from Heaven by Yelena Cherkasova, contemporary. 211 people in our community are currently praying with you. There is a story to this recording. A few months before his death, Elvis was giving a concert in Montgomery when he suddenly announced that he would sing this gospel number. He had (obviously) not rehearsed it; he had never performed it in public before and never would again. (He could only find sheet music for the piano and backup singers, so his band sat silent). He was deeply moved to sing this song, straight from his heart, for we know about his difficulties in the days before he died. It is a spontaneous cry to the God of his youth. In the darkness as black as could be. Don't hide your face from me. From here to the great unknown. Where no one stands alone. That's worse than being alone. Frank E Wright, III, and Michael Pritchard. Now all glory to God, who is able to keep us from falling away and will bring us with great joy into his glorious presence without a single fault. All glory to him who alone is God, our Savior through Jesus Christ our Lord. All glory, majesty, power, and authority are his before all time, and in the present, and beyond all time! 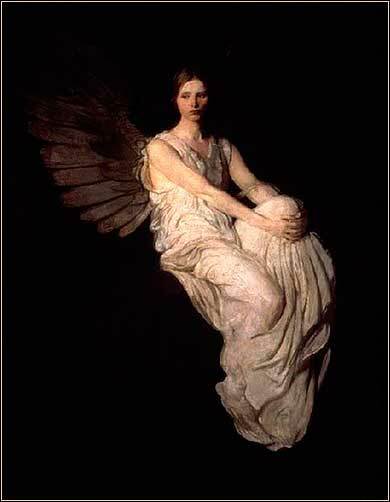 Angel by Abbot Thayer, ca. 1890. We cannot know if Satan actually flew Jesus around physically, or if he “took” Jesus to a place in his mind, his imagination. The entire temptation sequence is veiled in mystery, for Christ was alone in the desert; the account of the ordeal had to come from Christ himself, and he was adept at speaking metaphorically. But this very mysteriousness emphasizes an aspect that is more important than whether Jesus actually flew around: his internal struggle. I like to think of Satan as an actual being, but feel free to differ. Many theologians argue that Satan is himself metaphorical, the personification of a force contrary to God's will. And in his book The Origin of Consciousness in the Breakdown of the Bicameral Mind, Julian James makes a brilliant argument that ancient men would actually see things within themselves as external beings. Either way — whether Christ is tempted by an external being or by his human nature — the critical events take place in Christ's mind. Satan appeals to Christ's human drives; if he did not feel any pull towards sin, he would not be fully human and the temptation story would be meaningless. Jesus felt what we feel when we are tempted to sin; but being the Son of God, he resisted the temptation 100%. So why did Jesus, who actually could have fallen from the cliff without harm, not perform this miracle? He certainly had no problem with turning water into wine, or walking on water. First, the miracles Christ performed were signs of divinity, not magic tricks to wow the fickle and faithless. They were carefully placed signals for those who were truly seeking righteousness. Consider Luke 4. When Jesus returned to Nazareth, the people complained that he didn't perform enough miracles. But they were not seeking salvation; they wanted to see a show. Christ's miracles were (and are) for those who have faith or, at least, genuinely seek righteousness before God. Secondly, Christ's miracles were done only when necessary and only to benefit others, as a demonstration of God's mercy. And thirdly, Satan's temptation implies that Christ performs miracles in order to fulfill prophecy, which is backwards. Christ did not conduct himself to fulfill prophecy; rather, the prophecies had been made because the miracles would be performed. Jesus was not, for example, born in Bethlehem because Micah predicted it; Micah predicted it because God had already ordained it. Miracles determine prophecy, not vice versa. God will not, in summary, be tested. (See Deut. 6:16.) God's timing of events is the product of perfect knowledge; to allow another being (much less a purely evil one) to determine the timing of his miracles would be absurd.